Real Estate Investment is a great alternative to create wealth if coupled with tax planning. 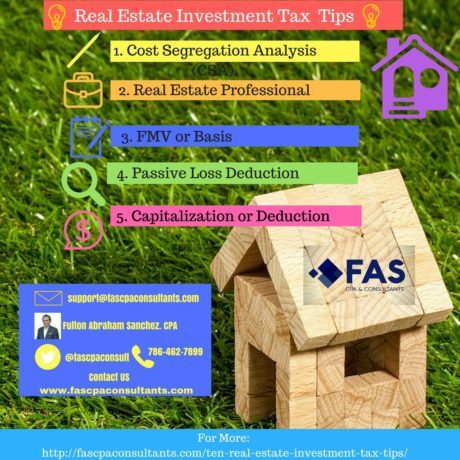 As a real estate investor, you need to put in place the most effective company structure, usually a LLC and maximize the use of options available to reduce your tax bill, such as depreciation and amortization. These considerations can make a big difference on your tax bill. Take away the worry and plan to enjoy the benefits and tax savings.